Wow, in the past month two jazz musicians I knew well when I was younger have passed. RIP Jerry. 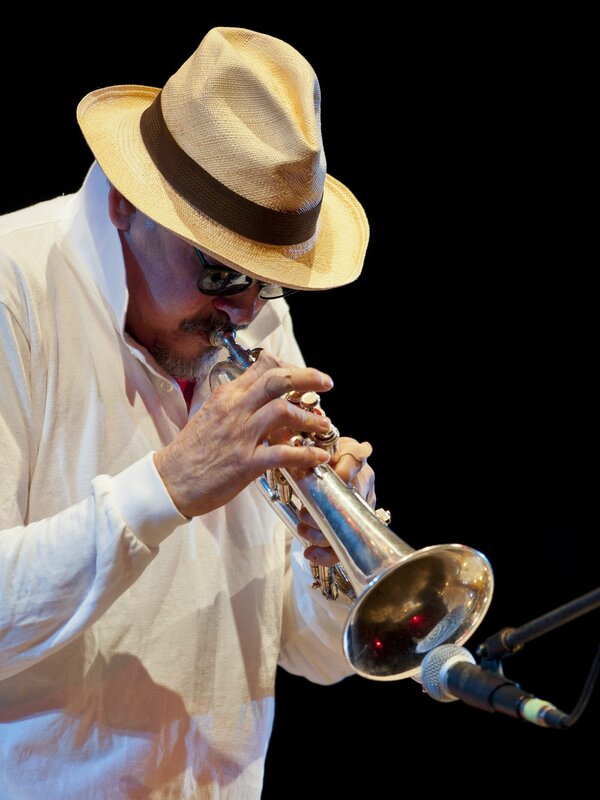 "Jerry González, a percussionist and trumpeter who embodied the convergent spirit of modern Latin jazz, primarily as cofounder and leader of the Fort Apache Band, died Monday in Madrid, Spain. He was 69. The Spanish newspaper El País reported the cause was cardiac arrest caused by smoke inhalation from a fire at his home. González moved to Madrid in 2000, after visiting the city to promote Calle 54, an acclaimed Latin jazz documentary in which he appears. A charismatic artist who cut an iconic silhouette — rarely seen onstage without his trademark fedora, sunglasses and goatee — González led a ceaselessly dynamic half-century career. He played with jazz legends like trumpeter Dizzy Gillespie as well as Latin music royalty like pianist Eddie Palmieri. His own output as a bandleader, starting in 1980 with Ya Yo Me Curé, could be framed as persuasive testimony for a form of Latin jazz that honors both sides of that equation. The Fort Apache Band, which he formed and jointly led with his younger brother, bassist Andy González, put theory into practice with a visceral sort of polish. Ascendant throughout the 1980s and '90s, Fort Apache made its first two albums from European concert recordings in Berlin (The River is Deep) and Zurich (Obatalá). Already the group's balance of rhythmic fire and harmonic fluency was in place, though it would come to exert a greater influence."